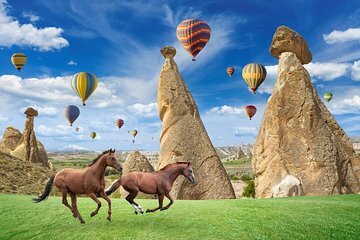 Cappadocia is home to one of the world’s most enchanting landscapes, but getting there usually means a long bus or car ride. During this unique day trip, you’ll be whisked away to the fairytale location by flight, giving you the whole day to explore. Get a peek at fascinating underground cities carved from volcanic stone, from chimney-shaped formations over lunar terrains to rock-cut churches painted with 10th-century frescoes.